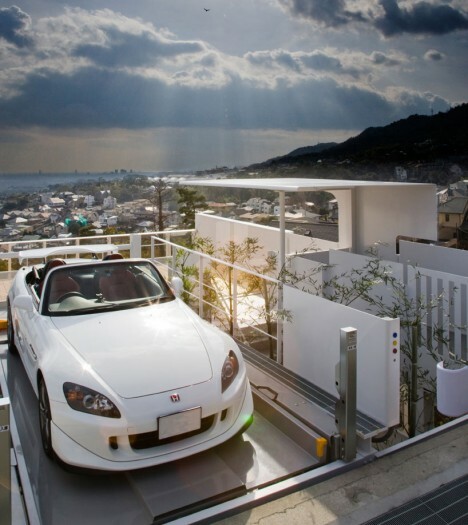 There are all kinds of houses designed to showcase your prized luxury vehicle or custom cruiser, but few can boast so blatant a mechanism to quite literally put your sports car on a pedestal. 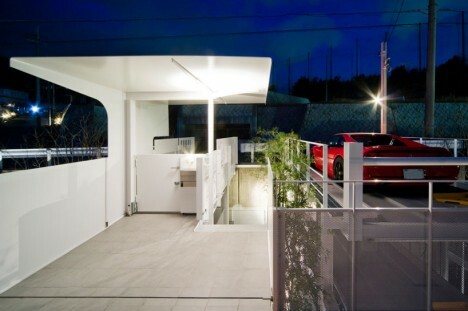 Tucked into a hillside, the main house sits below the street level at which you drive up and enter, leaving only a driveway, walkway and deck visible from above … until, that is, you jack up your car collection two more levels into the air. 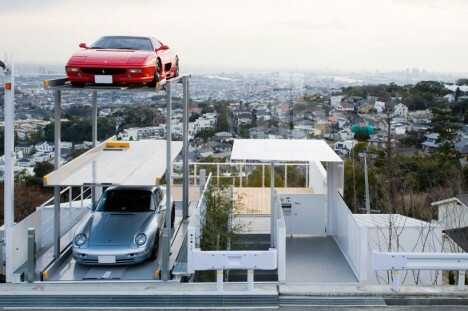 To be fair, this unusual architectural solution was designed by Atelier K (images by Kazushi Hirano) not to showcase the vehicles as such, but to simply make room for the owner’s Porsche, Ferrari and Honda on a narrow lot where a three-car garage or driveway was simply never going to work. 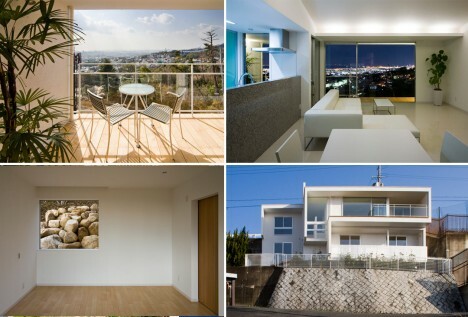 Inside, modern simplicity and regional minimalism influence the interiors within the house, which hugs and runs along the steep hill behind it. 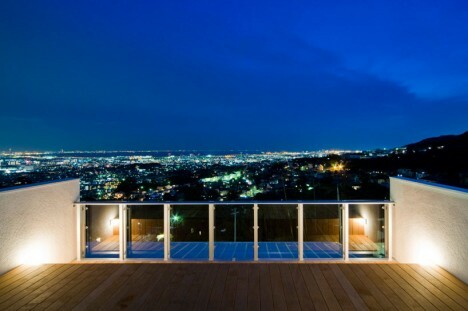 The result is a series of cozy, house-scaled rooms more practical and conventional. 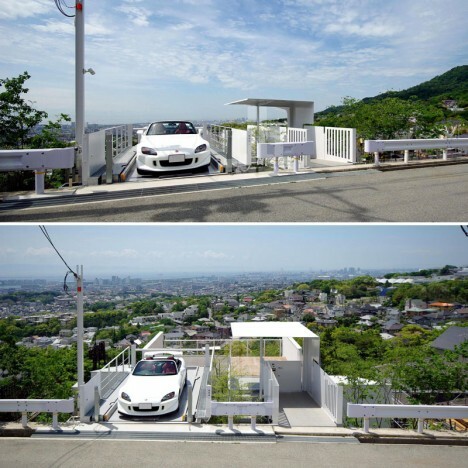 Still, back up above, one has to imagine that at least from time to time it is tempting to hop in the top-stacked vehicle, push the button and ride up a few more meters for an even more amazing view of the Japanese city sprawled out below.